LEGO Dowager lady Edith Kirk Christiansen turns 91 years old. 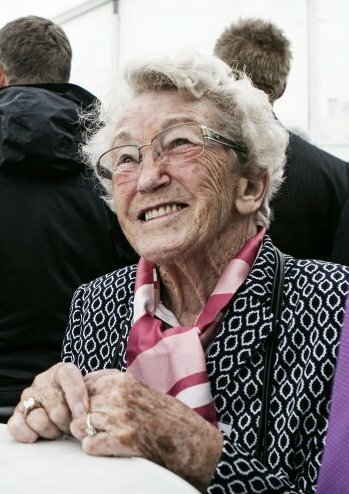 She was the daughter-in-law of LEGO founder Ole Kirk Christiansen (1891-1958), the wife of LEGO President Godtfred Kirk Christiansen (1920-1995), and the mother of LEGO owner Kjeld Kirk Kristiansen.... she turned 91 years old this past week on May 29, 2015, and appears still in good health. May she live to be 100!! 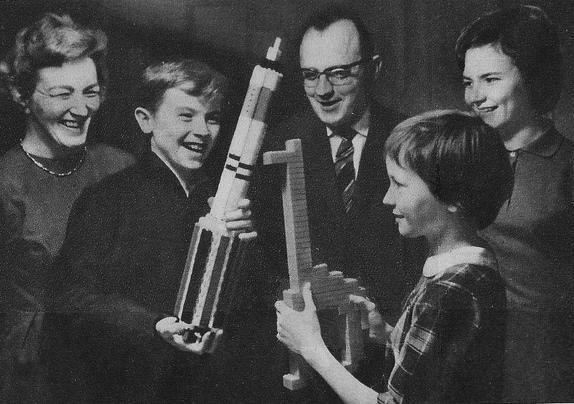 In 1961 with her late husband Godtfred (1920-1995), and her children Gunhild (1946-present), Kjeld (1947-present) and Hanne (1951-1969, who died in a tragic car accident). Images from my Unofficial LEGO Sets/Parts Collectors Guide chapter on the Christiansen/Kristiansen family. 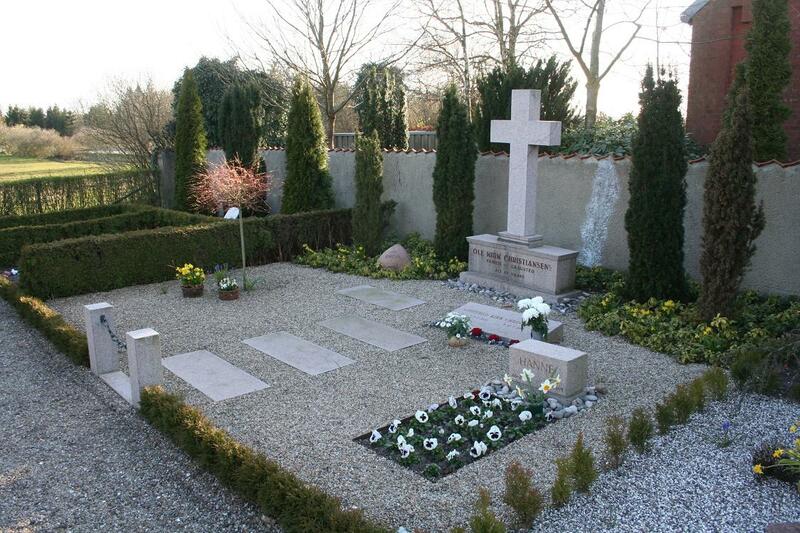 In this view, Ole Kirk Christiansen's grave (with the cross) has his son Godtfred Kirk Christiansen's even simpler grave in front of it, and Godtfred & Edith's daughter Hanne (d. 1969) with the white Pansies in front of that, one would be almost shocked by the frugalness of their graves. But rural Jutland, the central part of mainland Denmark, is known for its' simple Lutheran faith. A large fancy (easily affordable) mausoleum, was not even an afterthought. 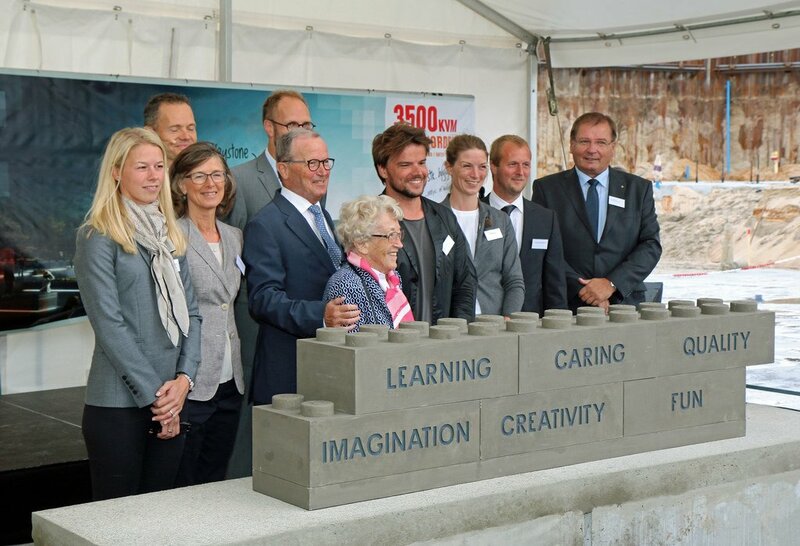 This frugality has been a hallmark of LEGO and its' founding family for the last 80 years. Again, in my collectors guide's latest updates on the corporate culture, I talk about the frugal nature of the company... even in the (billions of revenue) 21st century. I wouldn't exactly describe having a large plot has modest. It'd feel wrong to hit 'like' on a post like that, but thanks for posting about her. RIP. Love these articles on LEGO's and the family's history! Thanks for sharing Gary! And RIP Edith! She looked like a sweet old lady.